Over the past year much of the sentiment on China has started to shift from absurdly positive to extremely negative as anecdotes of empty towns, airports and railways indicate a pretty extreme case of malinvestment which makes Japan in 1989 look fairly benign. However many commentators also talk of a ‘soft-landing.’ One can bet with near certainty that when the sell-side consensus becomes so narrowly focused that it even agrees on a pleasant aeronautical allusion to describe a controlled and smooth transition to a lower economic growth rate they will be entirely wrong. I don’t want to bore myself going through the oft repeated arguments about transforming the economy from investment to consumption. 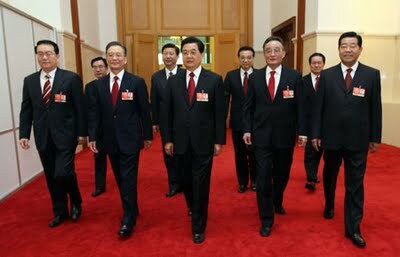 I want to critique the widely held view that the Chinese leadership are an omniscient circle of illuminati able to deftly control the direction of the economy. This is a fallacy and is illustrated clearly by the move of credit out of the state owned banks and into all kinds of quasi banking private 'businesses'. The state repression of lending sees lending find its way into the economy from other sources. This kind of repression is like the never ending “War on Drugs.” So long as there is demand for drugs there will be drug dealing. So long as there is demand for credit it will come forth. Much the same as with drug dealing this credit is not legislated in these shadow banking channels so the quality is extremely dubious. The Chinese government is clearly no longer in control of credit in the economy. Some commentators take the view that the Chinese government’s state controlled and repressive political and economic model will be stronger than the west because it can inflexibly drive through change without special interest groups. This is illustrated by their growth as they have been able to build high speed railways at an astonishing rate which is unheard of in the developed world today where there are endless consultations.